NATURAL HIGH this SAT 04.Sept. 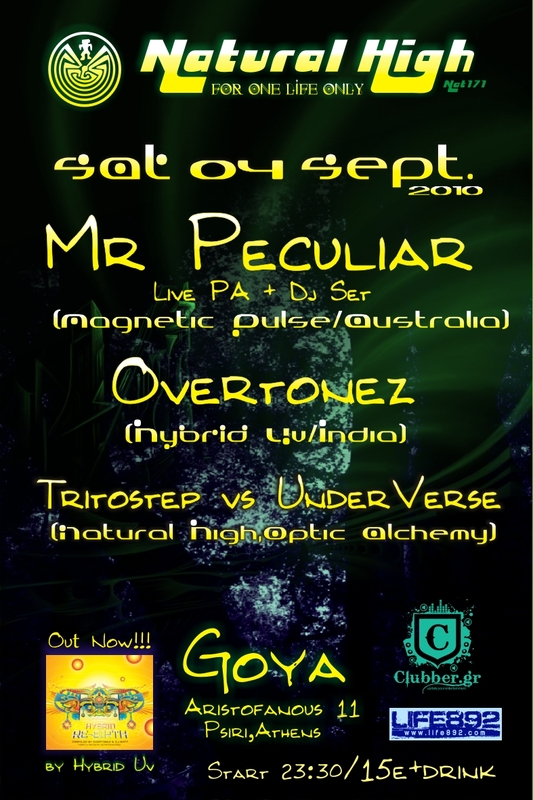 Mr Peculiar(Aus)Live+set &amp; Overtonez(India) @ GoYa!! !